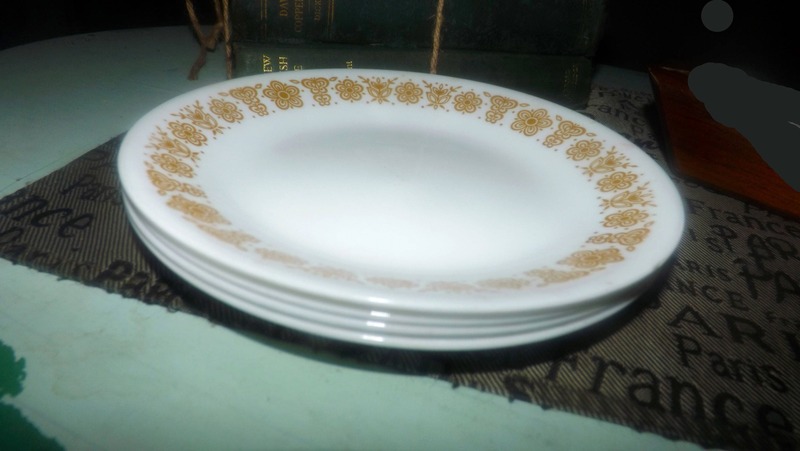 Vintage (1970s) Corelle Butterfly Gold bread-and-butter, dessert, or side plate. 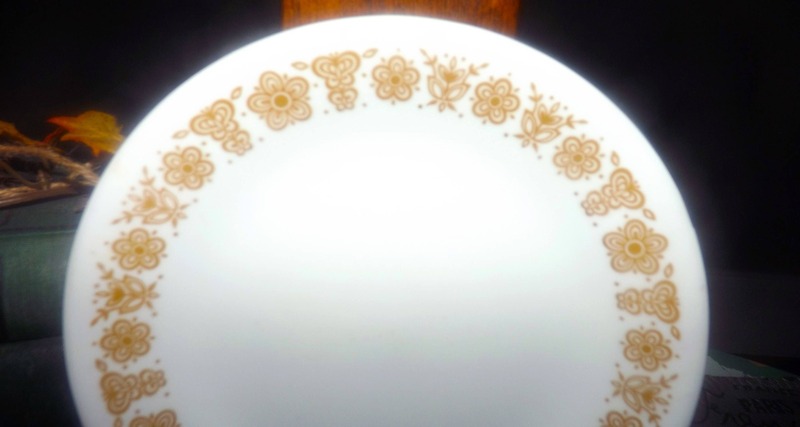 Gold-tone floral band, white ground. Made in USA. 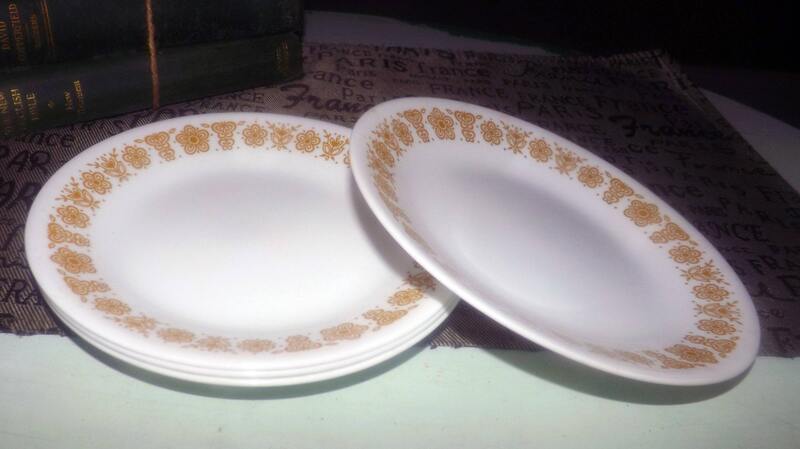 Vintage (1970s) retro classic Butterfly Gold bread-and-butter, dessert, or side plate made in the USA by Corelle. 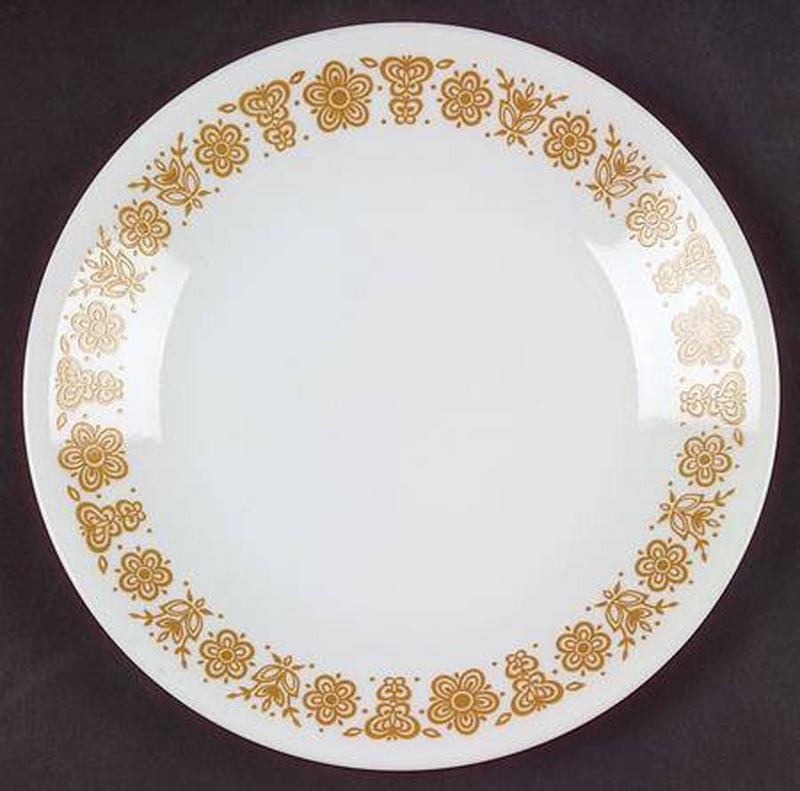 This hip and totally '70s pattern features a band of gold-tone stylized florals around the plate perimeter, set against a crisp, white ground. In EXCELLENT! 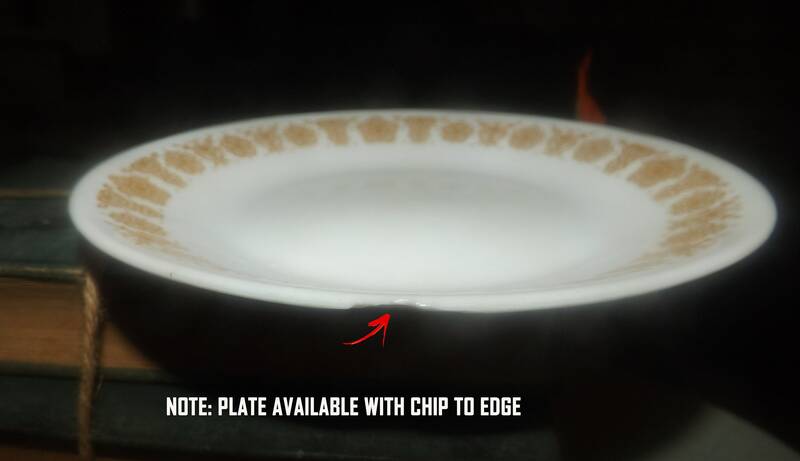 condition, this plate has NO! chips, cracks, or fleabites. 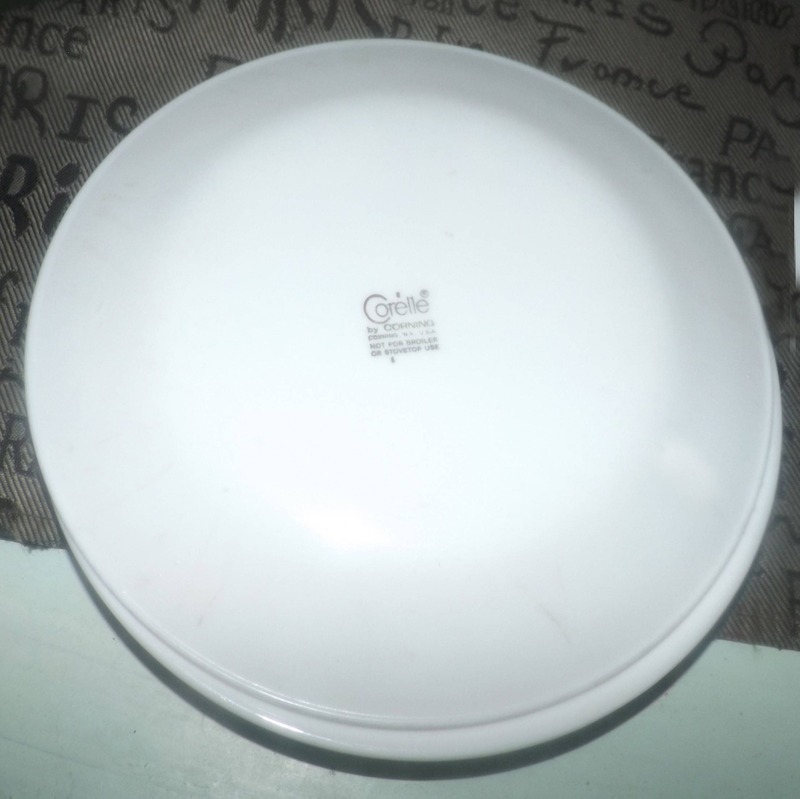 There are a couple of small utensil marks to the plate surface (please review the posted photos for a complete visual of the plate) but otherwise, there are NO! marks or stains. The yellow florals are bright and vivid with NO! fading apparent. 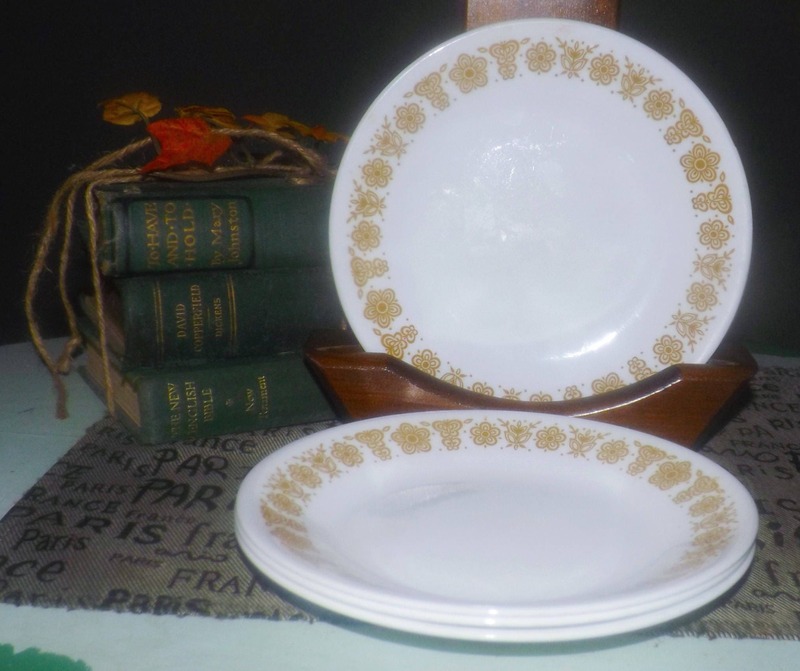 One plate is available with a WEE! nick to the edge at a reduced cost. Please choose your desired condition of plate from the drop-down menu above. Approximate measurements: 7" in diameter (measured edge to edge) with a smooth edge.